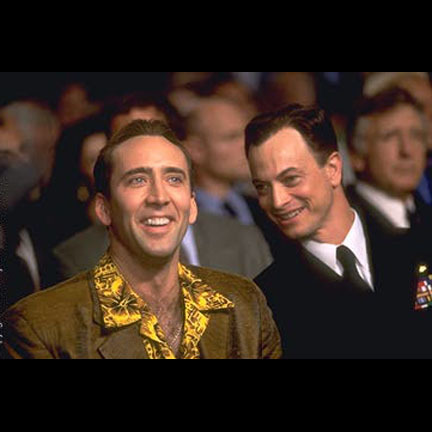 This shirt and jacket ensemble was worn by the character Ricky Santoro portrayed by actor Nicholas Cage in the 1998 Brian De Palma film Snake Eyes, which also starred Gary Sinise. 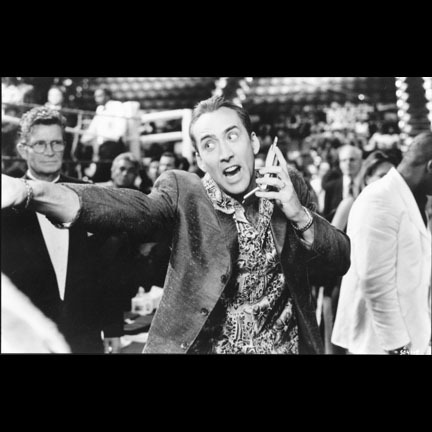 The short sleeve shirt is constructed of a yellow cotton material and has a tropical print. 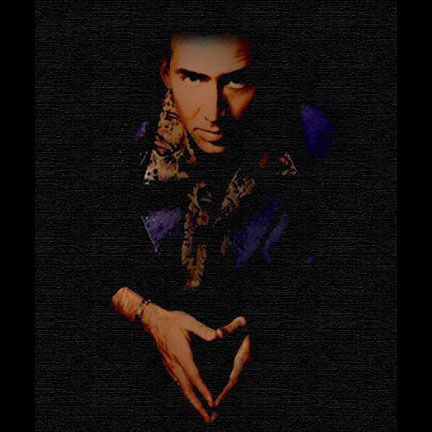 N. Cage is hand written in black ink inside the collar. 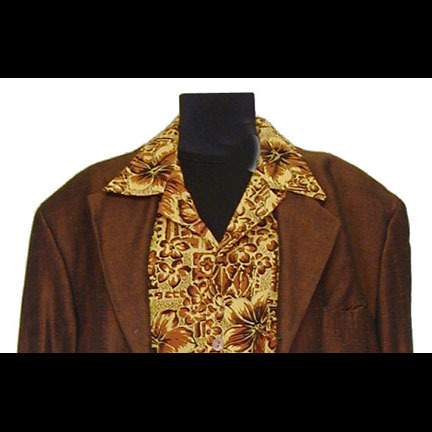 The sport coat is constructed of a rust colored sharkskin material and has a costumers tag attached. 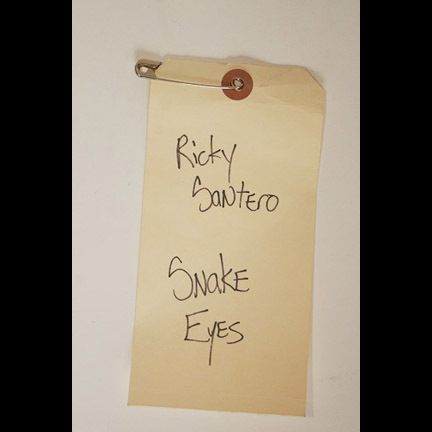 The tag reads, Ricky Santero, Snake Eyes. 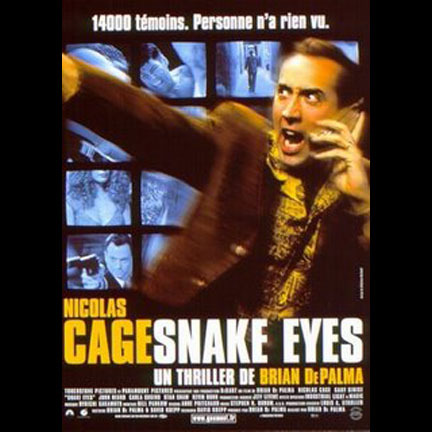 These signature pieces appear extensively throughout the picture. 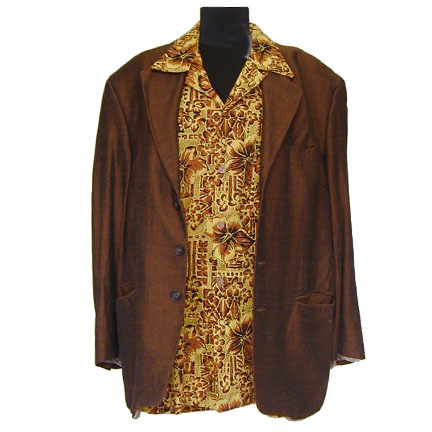 These screen worn artifacts were acquired directly from Paramount Studios and are accompanied by a certificate of authenticity of the costume house.